(TNS)—Even when a seller and buyer agree on a price for a home, the deal can collapse if the property appraises for less than that price. For example, let’s say a seller lists his house for $325,000, the buyer offers $275,000, but they settle on $300,000. A week before closing, the appraisal comes in at $265,000. That’s the maximum price for which the lender is willing to offer a mortgage. Who’s going to make up the $35,000 difference? In this case, the seller has already come down on the price and doesn’t want to lower it again, and the buyer may not have enough cash to cover the shortfall, or does not want to pay more for the house than its appraised value. As a result, the deal falls through. Short appraisals are common in declining housing markets because the lack of recent comparable home sales in the area, or “comps,” make it hard for appraisers to determine the current market value of a property. When home sales slow down, good comps “age” quickly. Add foreclosures and short sales to the mix and appraisals can run all over the map. The Home Valuation Code of Conduct, or HVCC, which went into effect in May 2009, compounded the problem. The HVCC prohibits Fannie Mae and Freddie Mac lenders from having direct contact with appraisers. As a result, most lenders work through appraisal management companies, or AMCs, whose pool of residential appraisers includes those with limited training or little familiarity with the geographic area being appraised. You can protect yourself from low appraisals. Here are some suggestions for buyers and sellers. Tell your lender to find an appraiser who comes from your county, or perhaps a neighboring county. After all, you’re paying for the appraisal. Ask that the appraiser have a residential appraiser certification and a professional designation. Examples include the Appraisal Institute’s Senior Residential Appraiser, or SRA, or member of the Appraisal Institute, or MAI, designations. Meet the appraiser when he inspects the home and share your knowledge of recent short sales and foreclosures that could skew the comps. You can speak with your appraiser; the prohibition applies only to your lender. 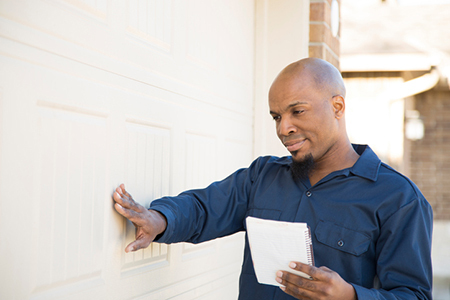 Give a copy of your prelisting appraisal to the buyer’s appraiser. Question a low appraisal. There’s always a chance the appraiser or a supervisor will take into account new or overlooked information.